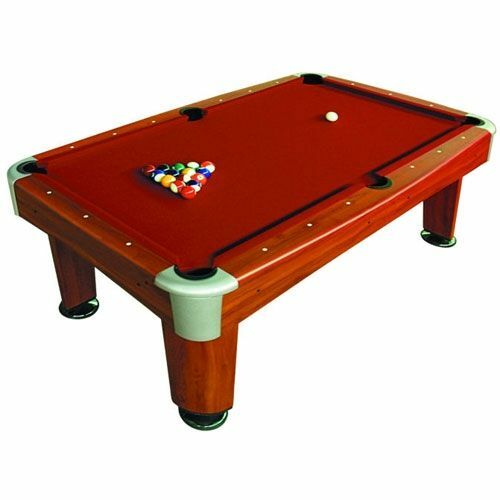 The BCE 7' Pool Table combines exceptional quality and stylish design and is most suitable for pubs and clubs with its excellent ball return system. It comes in a great looking, rosewood effect finish with 100% wool directional, hardwearing, pro-Nap Cloth, while the independent leg levelers and strong legs ensure it remains stable on an irregular surface. 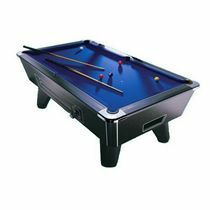 The table also features a very useful, lockable valet storage compartment for brush, spare tips, etc. and comes complete with cues, balls and triangle. Additionally, for the user’s convenience, this excellent table includes a fast release top frame and quick release cushions, which can be removed and replaced in minutes. for submitting product review about BCE 7' Pool Table - PT12-7D.